When opening any type of food establishment, there are many decisions that can be changed even once you have opened. However, when dealing with finding the right name for your restaurant, that is something that needs to stick. Once you have created a name and received your licenses, there is no turning back. Therefore, choosing the right name the first time around is important. There are a few things you should take into consideration when deciding on a name for your business. What’s in a name? In some cases it could be everything. If your name is boring and mundane, then customers will have a hard time keeping you in mind. You want the name of your business to make an impact on your customers in a way that they can recall it easily. This is can be done by creating a name that makes a lasting impression, either through creativity or simply because it is a name that fits so well with your food or location theme. Your customers may love your food and want to come back, but that may not happen if they can't remember the name of your restaurant! It might seem like a good idea to be creative when choosing a name, and in some cases it is, but only if the end result is something that everyone can remember easily. Be it a play on words, or a friendly food theme, having a name that is easy to remember will help to ensure that your customers turn into regulars and that you maintain the business you need. This may not seem obvious, but it is very important. Have you ever looked for a company online or in the phone book and not know how to spell it? It makes it impossible to find the address and phone number. 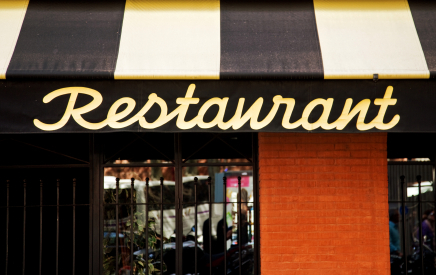 This can make customers turn to another restaurant that is easier to locate. You should stick to a name that your customers will have an easy time spelling and finding when doing a search. Does it Set you Apart? Competition is everywhere and you want to make sure that you stand out. This can be accomplished with your menu, your staff and the atmosphere you create. However, the name you choose can also help. If you think of some unique places you have dined at, you will likely recall their names quite easily. This is because they stood apart from the rest of the food service businesses and their name helped make them unique. You want to make sure to choose a name that will set you apart and make your business unique as well. Has it been Used or is it Trademarked? Some names are completely off-limits even if they seem like the perfect name. Trademarked names belong to the company that owns the trademark. If you are caught using a trademarked name it could mean facing a an expensive lawsuit, as well as being required to change the name. This would cause a big blow to your business. It is wise to stay clear from all trademarked names to avoid any uncomfortable situations. Finding the right name is vital for your customers to be able to recognize, remember and contact your restaurant. Therefore it is important to take the time and search for the perfect name that every customer will remember and find easily, and one that you will not have to worry about changing later on. Try to be unique and original, not only with your amazing food, but with a name that will make a lasting impression on your customers.